President Obama has just announced that he is going to reappoint Ben Bernanke to another four-year term as chairman of America's central bank. Bernanke, a Republican, still has to get another stamp of approval from the United States Senate, but will likely be reconfirmed with little opposition. 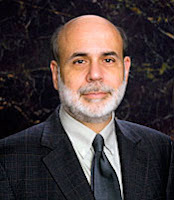 Bernanke has his critics, but many economists have praised the Fed chairman for his handling of the global financial crisis, crediting him for preventing a complete meltdown of the financial system, and for implementing innovative tools which the Fed has used to inject as much liquidity and confidence as possible into flagging financial markets. I think it's safe to write that years from now, when the current recession is history, the vast majority of economists the world over will credit Bernanke with saving America from another devastating depression. "...The man next to me, Ben Bernanke, has led the Fed through the one of the worst financial crises that this nation and this world have ever faced. As an expert on the causes of the Great Depression, I’m sure Ben never imagined that he would be part of a team responsible for preventing another. But because of his background, his temperament, his courage, and his creativity, that’s exactly what he has helped to achieve. And that is why I am re-appointing him to another term as Chairman of the Federal Reserve. Ben approached a financial system on the verge of collapse with calm and wisdom; with bold action and outside-the-box thinking that has helped put the brakes on our economic freefall. Almost none of the decisions he or any of us made have been easy. The actions we have taken to stabilize our financial system, repair our credit markets, restructure our auto industry, and pass a recovery package have all been steps of necessity, not choice. They have faced plenty of critics, some of whom argued that we should stay the course or do nothing at all. But taken together, this 'bold, persistent experimentation' has brought our economy back from the brink. They are steps that are working. Our recovery plan has put tax cuts in people’s pockets, extended health care and unemployment insurance to those who have borne the brunt of this recession, and is continuing to save and create jobs that otherwise would have been lost. Our auto industry is showing signs of life. Business investment is showing signs of stabilizing. Our housing market and credit markets have been saved from collapse..."
"...It has been a particular privilege for me to serve with extraordinary colleagues throughout the Federal Reserve System. They have demonstrated remarkable resourcefulness, dedication, and stamina under trying conditions. Through the long nights and weekends and the time away from their families, they have never lost sight of the critical importance of the work of the Fed for the economic well-being of all Americans. I am deeply grateful for their efforts. I especially want to thank my own family — my wife Anna and our children, Joel and Alyssa. Without their support and sacrifice I could not undertake this task. The Federal Reserve, like other economic policy makers, has been challenged by the unprecedented events of the past few years. We have been bold or deliberate as circumstances demanded, but our objective remains constant: to restore a more stable economic and financial environment in which opportunity can again flourish, and in which Americans’ hard work and creativity can receive their proper rewards. Mr. President, I commit today to you and to the American people that, if confirmed by the Senate, I will work to the utmost of my abilities — with my colleagues at the Federal Reserve and alongside the Congress and the Administration — to help provide a solid foundation for growth and prosperity in an environment of price stability..."
In other interest-rate news: Yesterday, the Bank of Israel, which serves as Israel's central bank, opted to raise its benchmark interest rate by 25 basis points (0.25 percentage point) from 0.5% to 0.75% for September 2009. A recent reading on inflation, in the form of the Israeli Consumer Price Index (CPI), show that prices are rising at a pace that would make any central banker nervous. For July, the CPI advanced by 1.1%, while economists were expecting a rise of about 0.85%. 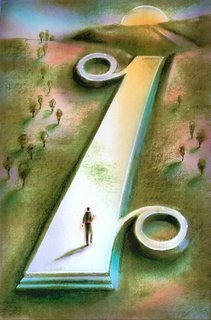 As of right now, the investors who trade in fed funds futures at the Chicago Board of Trade have odds at 100% (as implied by current pricing on contracts) that the FOMC will vote to leave the benchmark target range for the Federal Funds Rate at its current level at the September 22ND, 2009 monetary policy meeting. Moments ago, the Labor Department released its preliminary report on productivity and unit labor costs for the second quarter of 2009. Nonfarm productivity advanced by 6.4%, while unit labor costs declined by 5.8%. Both figures were annualized and better than what the majority of Wall Street economists were expecting. As you might have guessed, the gains were attributed to reduced hours and layoffs. Increased productivity and cheaper labor are great news for businesses, as the combo often translates to higher profits. It's great news on a macroeconomic level as well, as it means the Fed doesn't have to worry about elevated labor costs and lower productivity placing upward pressure on inflation. Bottom line: the news gives the Fed more room to leave short-term rates at near zero for as long as it takes to get the economy back on track. Back in the 1990's, computers and the Internet helped businesses become more productive, so much so that the Fed was able to keep short-term rates steady while the economy continued to grow and the jobless rate remained low. Without the increase in productivity, the Fed probably would have had to raise short-term rates between 1996 and 1999, to contain the inflation that very likely would have taken hold.